سواءً كنت مسافراً بغرض السياحة أو العمل، Linkwater Motel هو خيار عظيم للإقامة خلال زيارتك للمدينة. إن موقع الفندق الاستراتيجي، الذي يبعد 21.00km فقط عن مركز المدينة، يسمح للنزلاء بالوصول سريعاً وبسهولة إلى العديد من الوجهات المحلية المثيرة. يوفر العقار بفضل موقعة الجيد وصولاً سهلاً إلى أهم معالم المدينة.
. إن الخدمات الممتازة وحسن الضيافة العالي في Linkwater Motel تجعل إقامتك تجربة لا تنسى. هذه بعض الخدمات الموجودة في هذا الفندق: واي فاي مجاني في جميع الغرف, خدمات بريدية, مجهز لذوي الإحتياجات الخاصة, مرافق مخصصة لذوي الاحتياجات الخاصة, واي فاي في المناطق العامة. يمكن للنزلاء الاختيار من ضمن مجموعة من الغرف المصممة بعناية لتعكس جواً من الراحة، والتي يتجاوز عددها 21. يقدم الفندق العديد من الفرص للاستجمام كمثل مسارات المشي, الغوص السطحي, حمام سباحة خارجي, التزلج على الجليد, صيد السمك. استمتع بخدمات لا يعلى عليها وعنوان ذو اعتبار في Linkwater Motel . Super area for a few days of routine life. Cons: No vodafone network and no nearby shop though. Highly recommend booking a car or any suitable transportation means in advance. The nearest restaurant/cafe is about 8 to 9 km off so make provision for food. Pros: staff super helpful and really nice They help plan any trip/tour or buke rentals Really quiet place if you love the natural landscape and views Has an open swimming pool 24/7 Clean and well kept property Very cheap accommodation for all budget range Fridge tv a small lounge with some sofas available for all Stove and other kitchen utilities available if you want to cook something. They stayed up late for us to check in, we brought an extra child which they accomodated no problem, and the room was very comfortable. It was great, we arrived late and left early so didn't check out all of the facilities, but staff were very friendly and the room was comfortable and very clean. Good shower, lots of pressure. This is definitely a motel, certainly not 4 star in my opinion. The staff are very friendly and helpful, they're the best part of the motel. This is a very isolated place, with no reception. 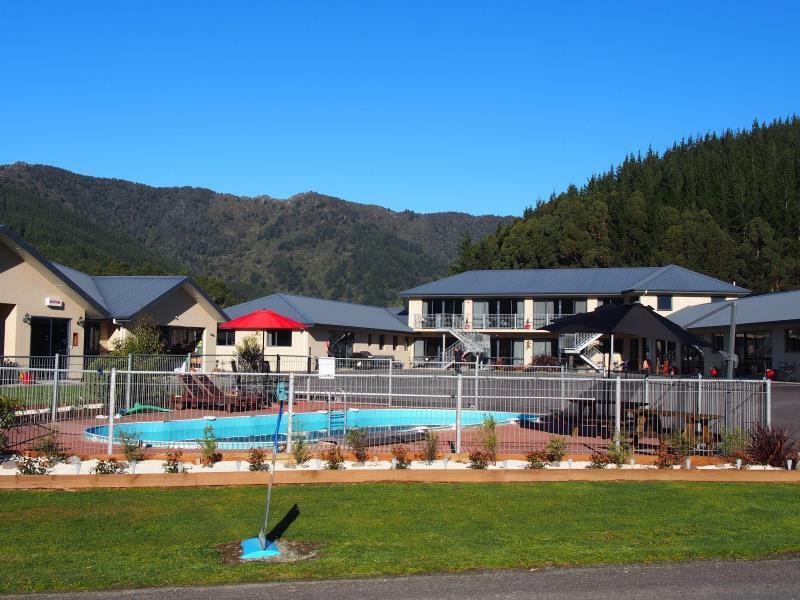 The closest town is 20mins away havelock (which is tiny too), then picton 30mins away. If you're looking for an isolated place next to a farm then this is for you. if not, this is not for you. I found it to be relaxing, the views were fantastic and the room was quiet and warm. The cooking facilities were good with a pool ti swim in and a BBQ to use. Top place to stay. Should not be listed as in PICTON. 18 to 20 KM away from the town. Not a good place to stay for catching the early morning Ferry. It was really a good stay. The owner of the motel was very nice. This motel is a little far from town, so it'll be good to have your own transport. But the surrounding and everything was good! With mountains right in front and behind us, the air was so fresh! I was staying with my wife and an infant baby. The staff service was excellent. Absolutely loved the location as it was in the middle of the forest, away from the crowds and the noise, yet not too far from Picton. 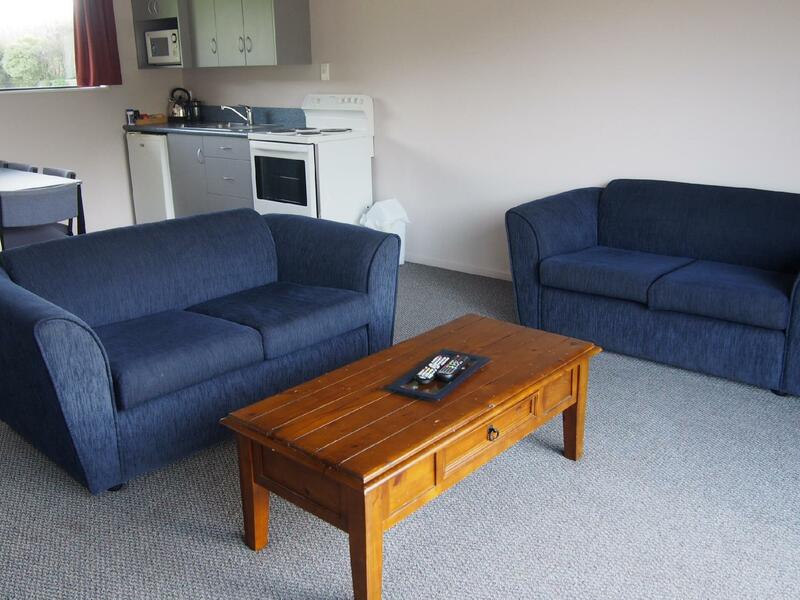 If I were to go bakc to Picton, I would definitely stay here again. New, clean and big rooms. Located in the middle of nowhere. But very good rooms. Clean, good shower, big, good kitchen. But bring all you need, because you won't find any store, pub or restaurant that's worth it's name anywhere close by. Quiet location in countryside. Pub with food 3km down the road. i love there! the master is very very nice and she does me a favour giving me a lovely room for our honeymoon. 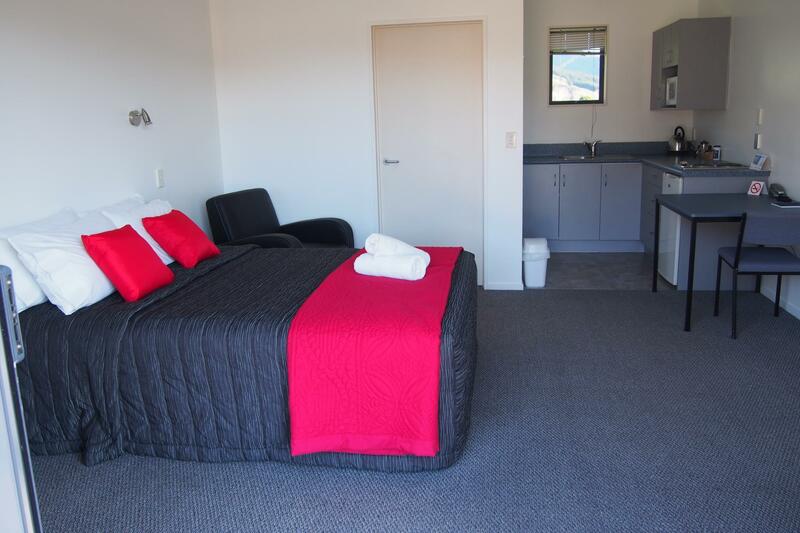 both of the apartment and the public kitchen is clean, tidy and well equipped. if i come back, i will choose it again! The size of the studio, the quiet location. 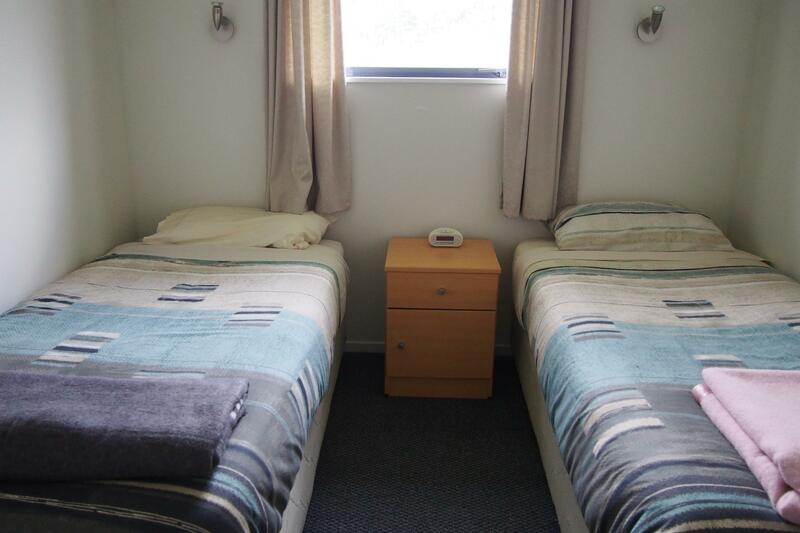 the rooms are large and very comfortable. the manager was very helpfull and provided information on hikes, where to eat and other things to do in the area. the pool looked very inviting, although it was a little on the cool side to try it out. It is a ways out of Picton but when you have the time... enjoy the road less traveled. taking the last ferry from wellington to picton we picked this place to stay as it was listed in picton. after taking a winding goat path of epic proportions for about a half hour we found ourselves arriving in the dark and with no place to get a meal. we were warmly greeted and given eggs and bread and butter from the owners own kitchen. a perfect late night meal in our large spacious, modern (in both design and colour) room with a kitchenette. the best bed i have been on in a hotel for that price range and nice eco friendly products from new zealand. seeing the place in daylight made the out-of-the-way distance worth while... gorgeous look outs along inlets and valleys. had an absolutely beautiful stay at the linkwater. 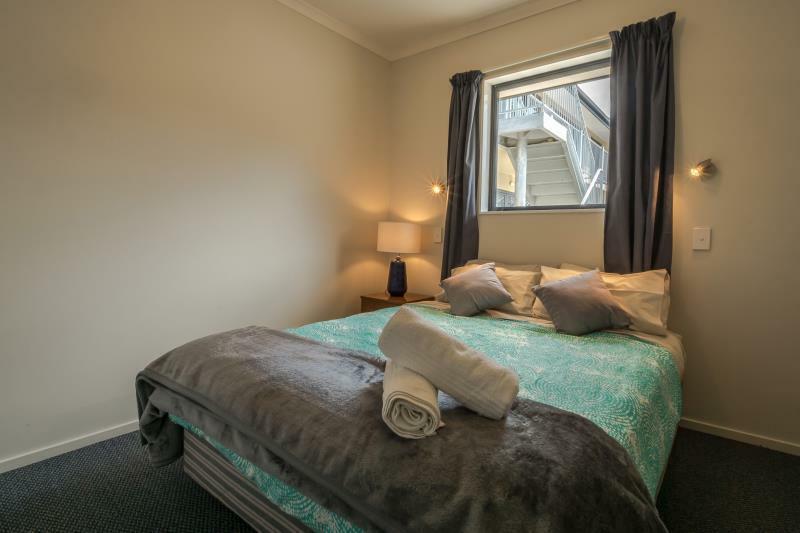 it has a superb position on the charlotte sound which has some great walks. we were upgraded a studio apartment and it was very modern with a great bed. the staff were very helpful with some recommendations as to what to do in the local area and also lent us a fishing rod for use on one of the many wharfs on the sound. cant really find anything negative to say about the place. would recommend to any one of any age. oh yeah.... my girlfriend loved the fact that they have electric blankets as standard. wir haben uns sehr wohlgefuehlt und verlängert.Das Motel ist sehr sauber und die Zimmer sind modern eingerichtet.Einfach nur zu empfehlen!!! !